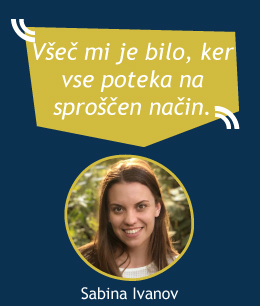 Nefiks booklet with its free online version is a tool for individuals to keep the record of their learning process and competence developed through non-formal education in one place. Insriptions in the index are being signed by the mentors/institutions where learning took place and include contact details together with IP address in the online version. Individuals can present Nefiks booklet or individual insriptions from its online version as a reference for their potential employer since all of their experience are being confirmed by those who organized the activities. 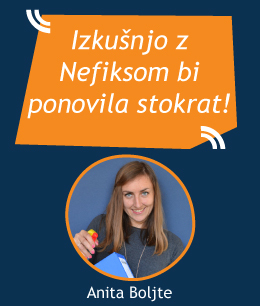 To promote the idea of Nefiks and the booklet together with its online version, we have Nefiks tutors. This is a group of volunteers, who promote Nefiks among their peers and help youth with recognising their learning. 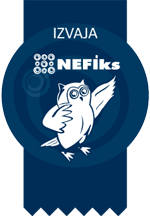 Nefiks career clubs are clubs for youth in secondary school that aim to help young people to start thinking and developing their career path. The groups unite young people and a mentor. They are meeting on a regular basis and think about their talents, hidden poentials, values and wishes which they are trying to connect with their future career path. 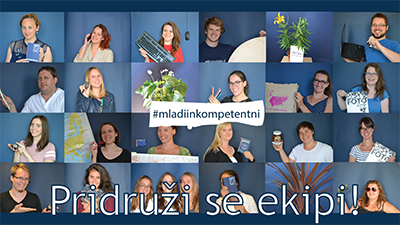 In 2014 we organized a project named Mladi bi radi that aimed at connecting employability and active citizenship. In this project youth created comics through which they exposed problems they are facing with in their local environment, proposed possible solutions and presented them to local decision makers. This way young people got a chance to develop their competence, take an active part and plan their career. From 2016 we are organising national Career day through which we were encouraging youth to think about their future and set their career goals. With this event we are trying to stress the importance of career guidance for youth as well. 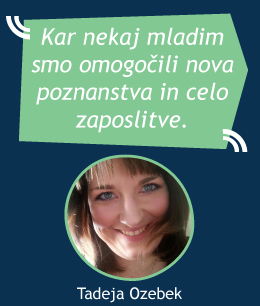 Clubs Kolegice are clubs for young women at the begining of their career path. The project unites young women starting their career and successful women who become their mentors. Mentors meet with their mentees on a regularly basis where mentors help their younger colleagues with setting their career goals and developing their career path. Young women included in the project are meeting every week, supporting each other and organising events for wider public. Language clubs are uniting young people wanting to improve their language skills through conversation. Clubs work on a premise of everyone being a teacher and a lerner. However there is a native speaker in the clubs that helps with the pronunciation, grammar and cultural aspects. The group is meeting on a weekly basis, organizing events and making their career plans. 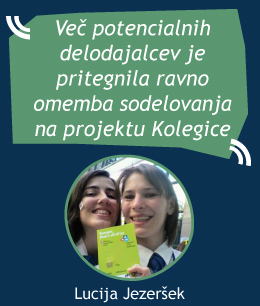 The main goal of the project is to raise the employability of the young people. 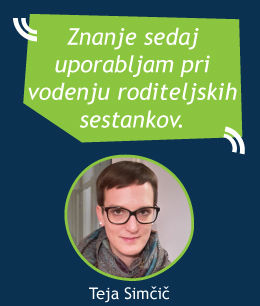 We are coordinating employment clubs for the young job seekers which are being held in different cities around Slovenia. The purpose of these clubs is raising employability of youth and helping them with finding employment. In the clubs participants choose what they would like to achieve in club and define the way to achieve it. Coordinator of the club is helping them with achieveing their goals. Participants have regular meetings and they invite different guests from different fields that help them by teaching or giving information that will help participants with finding a job. Each participant receives professional career counselling as well. 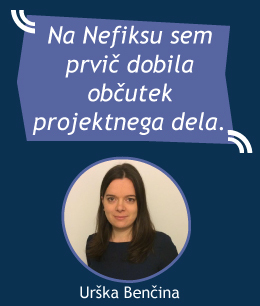 From 2016 we are running a project named Nefiks zaposlitvene rešitve through which we are offering young people various workshops on self presentation, writing a good CV, entrepreneurship skills, IT skills etc. 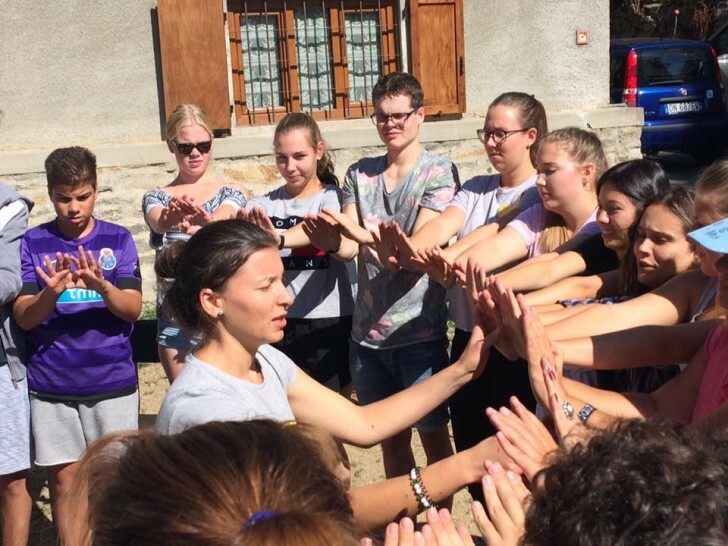 We are taking part in various international project for youth such as youth exchanges, trainings for youth workers and European Voluntary Service. With this projects we are offering young people opportunities to develop their knowledge, skills and competence through short or long term mobilities abroad. 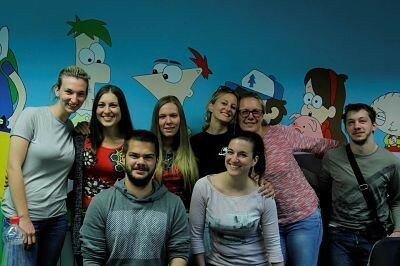 We are also organising international activities in Slovenia. For developing new concepts, promoting non-formal learning, its recording and recognition we are part of international groups working on several projects. Among them is project IT Launch Box that aims to develop IT and entrepreneurship skills for youth and raise their employability in this way. 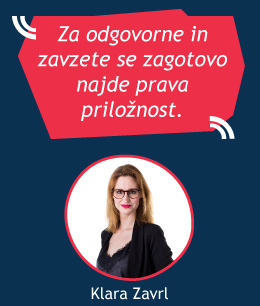 Another project is Free to Choose in which we are creating a new tool raising awareness about connections between gender and choosing of profession of young people.